I can’t stop thinking about Ledell Lee. 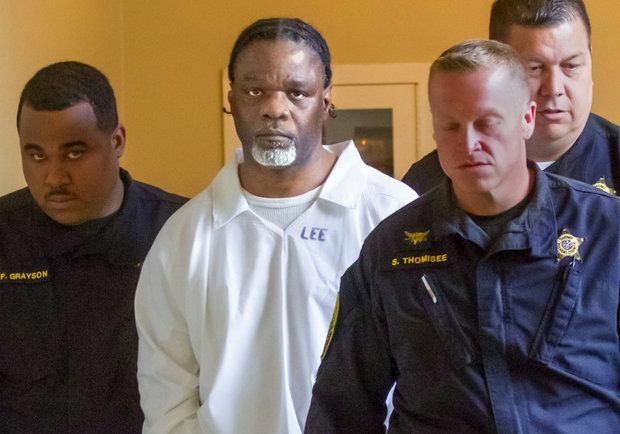 Since his execution last Thursday in Arkansas, the state executed two other individuals on Monday back-to-back, a first for any state since 2000. Eight men were slated to die in Arkansas over 10 days, beginning the day after Easter. A few have gotten reprieves, though perhaps only temporary. Three others are now dead. There are still victims’ families who are waiting, enduring this legal morass that is the death penalty system. Corrections officers’ who have been through three executions in six days will be asked to carry out others, even with all the risk associated with the use of the problematic drugs. It is reported that Marcel Williams’s execution did not go off as planned on Monday as he gasped and arched his back before finally getting still. What is hardest for me to get my head around though is the complete breakdown of the legal process for Mr. Lee. Mr. Lee received a death sentence over twenty years ago for the murder of Debra Reese. It is unimaginable what her family has been through during the past two decades. But all those years in court mean little if the defendant’s attorneys didn’t do their jobs. Mr. Lee received inadequate and ineffective representation at every stage of his case. His trial lawyers failed to conduct a thorough investigation into his background for the mitigation phase of his trial, not even speaking to many of his siblings. And, they didn’t bother to talk to his mother about testifying. Instead of a mitigation specialist, trial counsel hired a former police officer with no training or mental health background to investigate the case. Lee’s first state post-conviction attorney had substance abuse problems that left him “impaired to the point of unavailability on one or more days of the Rule 37 hearing.” The Arkansas Supreme Court noted several examples of his lawyer’s “troubling behavior,” including “being unable to locate the witness room;” “repeatedly being unable to understand questions posed by the trial court or objections raised by the prosecution;” “not being familiar with his own witnesses;” and “rambling incoherently, repeatedly interjecting ‘blah, blah, blah,’ into his statements.” Unsurprisingly, Ledell lost his state-post conviction petition. Eventually, the Arkansas Supreme Court recognized that Lee received grossly inadequate representation and withdrew its opinion, giving him new counsel. These new counsel were not much better, missing an important filing deadline. At one point, they were referred by the Arkansas Supreme Court to the Committee on Professional Conduct. The Arkansas court finally appointed the Arkansas Federal Defender to represent Mr. Lee. That office tried to litigate a claim that Mr. Lee was intellectually disabled. The state argued that he had procedurally defaulted this claim by not bringing it up earlier, and before the issue could be litigated, the federal defender was removed from the case due to a conflict. And if this wasn’t enough, as his execution approached, the Innocence Project volunteered to test untested DNA evidence in Mr. Lee’s case at no cost to the state. Mr. Lee had proclaimed his innocence for 24 years, since his arrest. The state refused.